This is the first time that I’m reviewing a show that I watched online as opposed to having experienced it in person, so, my apologies for not having a more in-your-face perspective, but I can say with great certainty that Billband (ensemble that was originally formed by Bill Ryan; I interviewed him recently) was in supreme form as they ran through a set of mostly selections from the CD Towards Daybreak, whose release was the focus of the event. The group, which features several members of Bang On a Can that we are familiar with (Ashley Bathgate, Vicky Chow, David Cossin) as well as violinist-composer Todd Reynolds, clarinetist Michael Lowenstern, and 2nd cellist Pablo Mojave-Veglia among others, has a very fusion-esque sound, especially on pieces like “Friction”, which opened the show. Its prog-like timing proceeded to set a wonderful pace for the rest of the evening. “Sparkle” is one of my favorites, and it was every bit the delicate frosty chime dialogue that it is on the album. Following this was “Solitude In Transit”. This featured a great Far Eastern-style violin lead from Todd Reynolds, with which he managed to outshine his own recorded version from the album. “Simple Lines”, a piece that Ryan had written in various versions for various configurations of instruments, was performed solo by Ashley Bathgate. 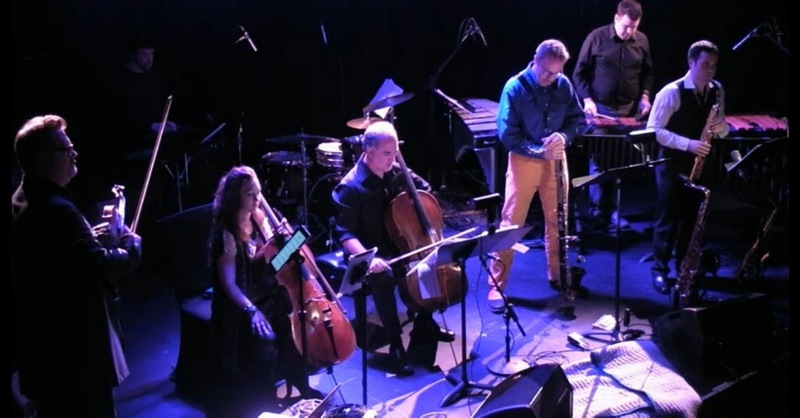 Doing what she has been doing so effectively for several years, Bathgate bathed the audience in rich textures of layered loops of cello, mastering a technological art form and reinvention of a classical sound. 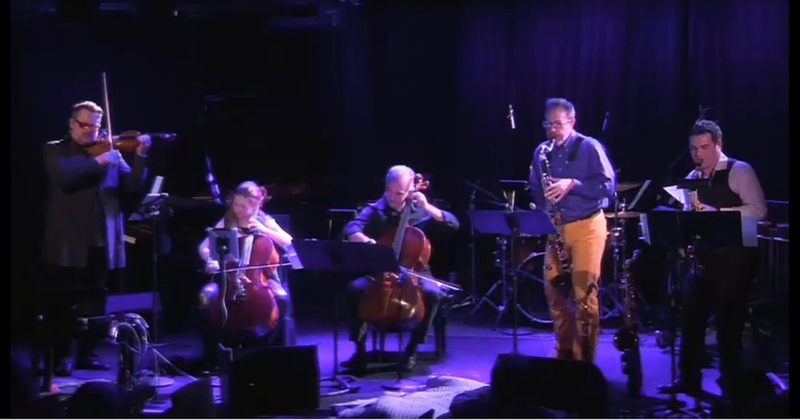 The ensemble returned for “Rapid Assembly”, and then played “Blurred”, which here sounded a bit more like the version from the Billband Blurred EP from 2004, featuring more ensemble than the recently-recorded trio version. They wrapped up the set with that same EP’s “Original Blend”, which displayed great lead voices from the violin, piano and clarinet. Both Todd Reynolds and Bill Ryan made introductions to these pieces, and I have to say I am a huge fan of the musicians speaking to the audience. If we continue to have the kind of rapport that these performers have, this is certainly one of the keys to gaining the interest of new audiences as well as maintaining audiences that are invested in and engaged with new music concerts. Billband is a great showcase for Bill Ryan and its members, and I hope that this ensemble continues to produce even more progressive post-minimalism pieces as well as concerts as lively as this one. This entry was posted in Avant Garde, Concert reviews, Musicians, New Classical Music and tagged Ashley Bathgate, Bill Ryan, Billband, David Cossin, Jonathan Nichol, LPR, Michael Lowenstern, Pablo Mojave-Veglia, Todd Reynolds, Towards Daybreak, Vicky Chow. Bookmark the permalink.